Design and architecture practice, HLM, has recently utilised innovative biophilic designs to transform existing teaching classrooms throughout the University of Glasgow campus, inspiring active learning, productivity and wellbeing. 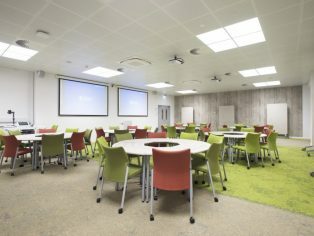 With significant research indicating that levels of productivity increase in environments containing natural elements, HLM has refurbished the spaces with forward-thinking designs and aspects of nature, particularly in rooms with limited access to natural daylight. 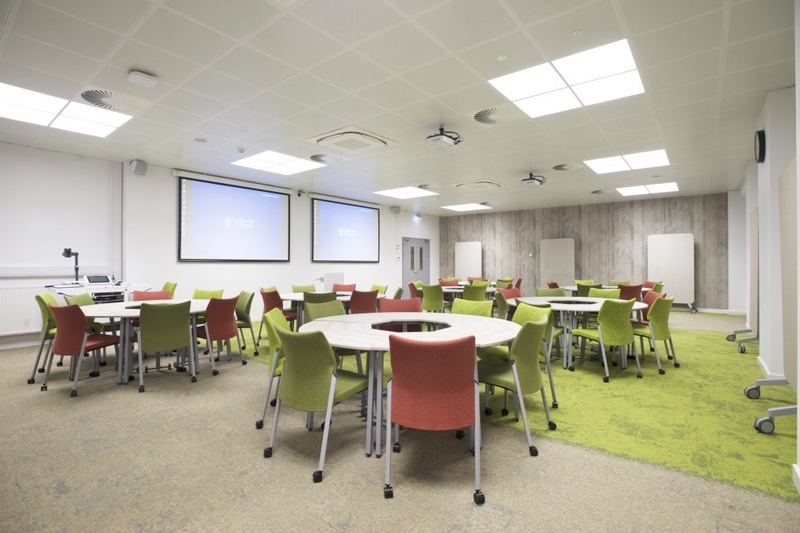 In partnership with the University of Glasgow and its Inspiring Spaces Group, HLM has completed this second phase of the Active Learning Spaces Pilot Rooms project. Building on the success of last year’s refurbishments these new spaces will inform the design of future learning and teaching estate across the campus. The biophilic designs include the use of natural materials, textures and patterns as well as lighting with variable temperature settings which respond to the body’s circadian rhythm. The result are teaching spaces that increase comfort levels and provide more relaxed learning environments for the students. With extensive expertise in the education sector, HLM will also take part in the post occupation evaluation during the first year of use of the Piolet Rooms. The outcomes will provide invaluable insights that will enable the team to understand the full spectrum of contributing factors to improving the Student Experience.